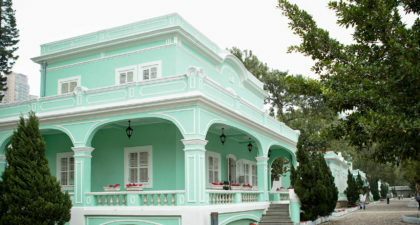 The Taipa Houses are a series of colonial style houses turned into museums. These houses themselves are European-styled buildings built in 1921. Their beauty remains despite their age, making them popular backdrops for wedding photos. The museums featured here include the Macanese Living Museum, Exhibitions Gallery, Nostalgic House, House for Reception, the Creative Casa, and the Taipa and Portuguese Cultural Product Area, which sells local products. The museums are free on Sundays but note that they close on Mondays.